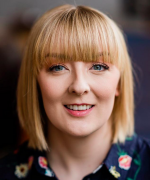 Heidi joined HSRU as a Research Assistant in June 2018; she works across ImproveHD, PRioRiTy II and various other trial methodology projects. Prior to this, Heidi undertook her PhD project based at HSRU under the supervision of Prof Shaun Treweek and Dr Katie Gillies. This project focussed on improving the efficiency of clinical trials, with particular focus on participant recruitment. She graduated in June 2015 with a first class MSci in Pharmacology from the University of Aberdeen, and the recipient of the Stewart Bourner Prize for Pharmacology. As part of her studies she undertook an industrial placement year which was based with a clinical recruitment agency. She specialised in hiring for large CRO organisations for roles across the UK and Europe, specifically recruitment for Research Nurses, Clinical Research Monitors, and roles involving patient recruitment. During her studies Heidi also completed an internship with The Saltire Foundation that was based with a large pharmaceutical manufacturing company in Princeton, New Jersey. Heidi is also passionate about effective and entertaining science communication and public engagement; she's a STEM Ambassador and an active part of HSRU's Public Engagement Group, co-leading and taking part in events across various Aberdeen Festivals (May Festival, TechFest, Explorathon). Heidi also runs a blog documenting her experiences in the world of academic research, spreading awareness of trials and breaking down stereotypes about who or what Scientists can or should be (spoiler - anyone can be a scientist, and we all use scientific skills in every day life). Her blog has had more than 10,000 views from 90+ countries since its inception in January 2017. In July 2018 Heidi was awarded the runner up prize for the Principal's Prize for Public Engagement in the Early Career Researcher category. In March 2018 Heidi was named as a Winston Churchill Memorial Trust Fellow. As part of this Fellowship she will be conucting a research project around science communication, specifically the use of blogging to communicate scientific ideas and processes. her Fellowship involves 6 weeks of fully funded travel around the USA, Canada, Singapore and Hong Kong, which she will begin in January 2019. Heidi will then return to the Unit to share her experiences, beginning a new role as Research Fellow in March 2019. Heidi's research focus on clinical trials methodology (primarily recruitment and retention of participants), improving efficiency of trials through effective dissemination and implementation of evidence, and improving participant experience of trials. Her work is multidisciplinary and much of her work to date has used a mixed methods approach, including pragmatic use of qualitative methodologies, concepts such as user-testing and user experience design which originated in design and marketing industries, and systematic reviews of non-randomised studies. Heidi also has an interest in public engagement and science communication; particularly with regards to evaluation of engagement activities.